Today, we're going to discuss two class-leading trucks: the 2018 RAM 1500 and the 2018 Chevrolet Silverado. The 2018 RAM 1500 is known for its bold and 'snarling' design, ample configurations, and impressive on-road driving dynamics. 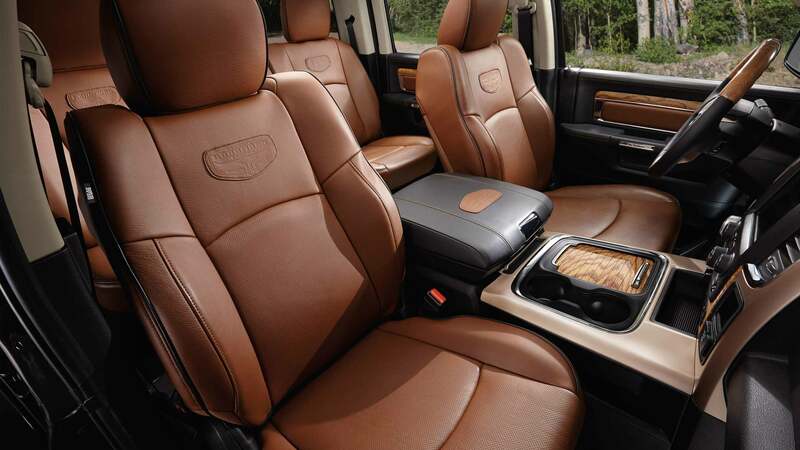 The RAM 1500 offers one of the only diesel engines in its class, offering peak fuel economy and longevity. The 2018 Chevrolet Silverado takes a more conservative approach in styling and trim levels. Check out highlights of both these incredible trucks below! The RAM 1500 boasts three diverse engine options for the 2018 model year. The 1500 starts off with the award-winning 3.6L Pentastar V6 that sends 305 horsepower and 269 lb-ft of torque through this truck. It's paired with an 8-speed automatic transmission. A 5.7L HEMI V8 engine is also available, distributing 395 horsepower and 410 lb-ft of torque through a 6-speed automatic. Alternatively, the third engine option is an efficient 3.0L EcoDiesel V6 that produces 240 horsepower and 420 lb-ft of torque. This engine is paired with an 8-speed automatic transmission. All engines may be paired with rear- or four-wheel drive. The Chevrolet Silverado is eligible for three engine options for 2018. The Silverado's base engine is a 4.3L V6 that produces 285 horsepower and 305 lb-ft of torque. This engine comes standard with a 6-speed automatic. There's an upgraded 5.3L V8 that shoots 355 horsepower and 383 lb-ft of torque through the 1500. This engine is linked up to an 8-speed automatic. The final engine option for the Silverado is a 6.2L V8 that generates 420 horsepower and 460 lb-ft of torque. It's also paired to an 8-speed automatic. Rear- and four-wheel drive are available. 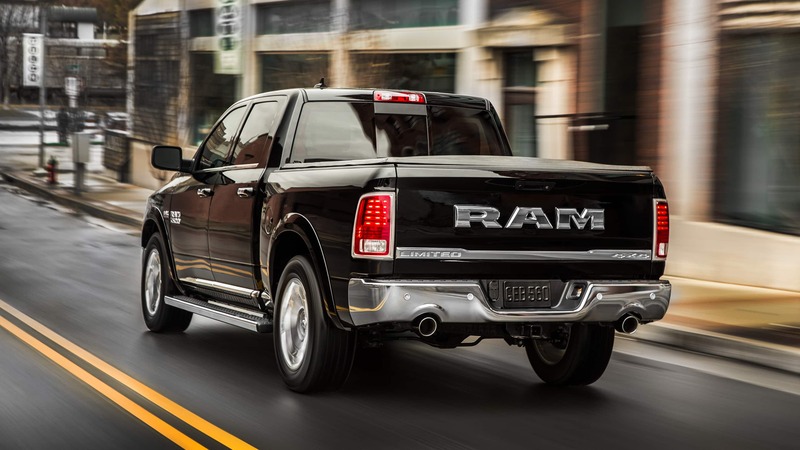 The RAM 1500 of 2018 offers 13 unique and exciting trim levels for the model year. These models are Tradesman, Express, SLT, HFE, Big Horn, Lone Star Silver, Sport, Night, Rebel, Laramie, Laramie Longhorn, Laramie Limited, and Limited Tungsten. Standard equipment for the 2018 RAM 1500 includes a spray-in bedliner, a Class IV hitch receiver, cruise control, a seven-pin wiring harness, air-conditioning, vinyl upholstery and floor covering, a rear backlight, a locking tailgate, automatic headlights, a USB port, an aux jack, and a 6-speaker audio system. The 2018 Chevrolet Silverado features six trim levels: WT, LS, Custom, LT, LTZ, and High Country. WT models offer features such as xenon headlights, cruise control, air-conditioning, vinyl seating and floor covering, a driver information display, a 7-inch display, Bluetooth, a 6-speaker audio system, power door locks, a rearview camera, a bed light, and daytime running lights. With so few trim levels, it can be hard to strike the right balance between features and price. The 2018 RAM 1500 and 2018 Chevrolet Silverado are both impressive trucks with many great traits. The 2018 Chevrolet Silverado is an easy choice for a full-size pickup truck, with basic trim levels and a couple different gasoline engine choices. 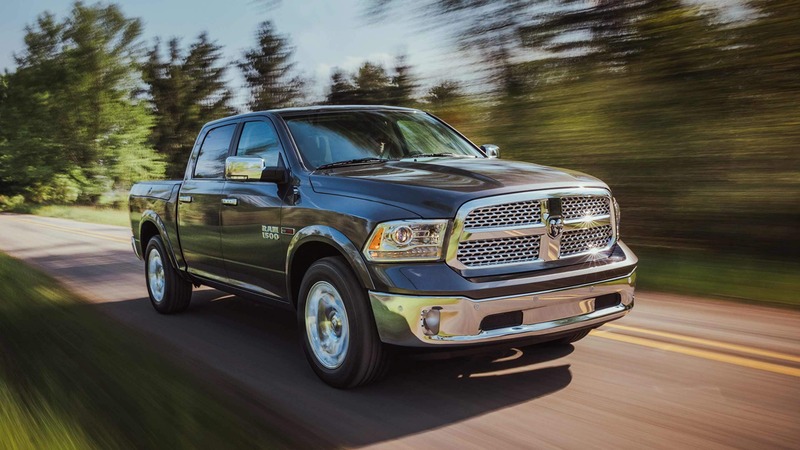 The 2018 RAM 1500 is a bolder choice, with extensive trim and engine options and a style that's unmatched by any competitor. Are you ready to take the next step in the car buying process? Contact us today to get more information, schedule a test drive, and meet with our qualified finance team!